CHENNAI.JAN.22. The IHMA Chennai Chapter organised a workshop on fundamental training in research in Homoeopathy at Balamandir, Chennai. Dr.Vasudevan, the president welcomed the participants. Dr.K.M.H. Akbar Sha was the Chief Guest to the occasion. 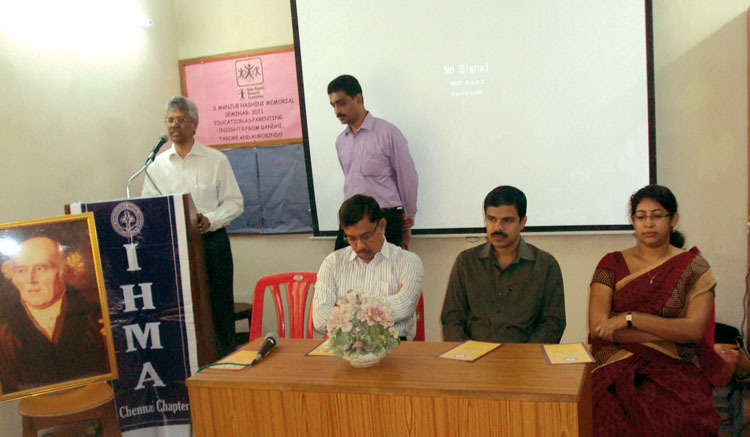 The workshop was conducted by Dr.Abdul Gafar and Dr.Bindi John Pulparampil. The workshop was attended by 30 doctors from in and around Chennai.